Corruption and abuse of public office are a blight on democracies and a drain on public finances. With trust in government flagging in many countries and voter disillusionment on the rise, raising standards of integrity is more important than ever. Government ministers, business leaders and civil society representatives will discuss issues including the cost to society of corruption, the use of political donations to buy influence, developments in corporate liability for graft, and the role of export controls to counter bribery. All sessions of the forum are broadcast live and can be watched after the event in English, French and Spanish. Read the opening speech of OECD Secretary-General Angel Gurría. Alison Taylor, Director, BSR (Business for Social Responsibility). Over half of the citizens in developed countries distrust their government and a yawning trust gap is emerging between the elite and mass populations. How do we build a culture of integrity? 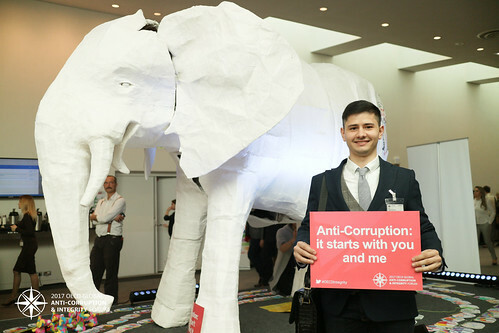 Integrity defenders are relying more and more on behavioral sciences to design compliance systems and anti-corruption policy measures - Are we hardwired for corruption or for integrity? A peek into the real danger of distorted competition in Europe today.